5.0 out of 5 starsPure refreshment...! 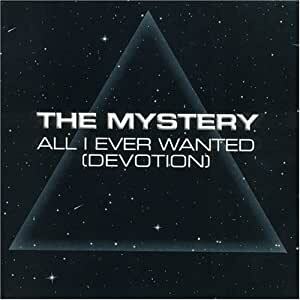 "The Mystery Vocal Mix Part II" is only available on the US radikal records release. All in all, the mixes are truly wonderful with its pulsating electrifying sythns, and its melodic driving trance feel...! I like this nice euro-trance tune. A good domestic release except that it should have had couple of more mixes just like the European release. The European release had mixes by Flutlicht and DJ Tatana among others. I wish these mixes were on the U.S. release as well :(. But anyways, this is still not a disappointing CD. We get some good mixes by Donald & Giles and Ron Van de Bueken himself. this as a production by 4 Strings (Carlos Resoort) and that's incorrect . The Mystery is a project of producer Ron Van de Bueken who also produces under the alias of Shane (not Shane 54), Floyd and others.